For some reason, today felt like it should be Thursday. Sadly, it wasn't. We have been working on our Father's Day gift this week. They're looking pretty cute! 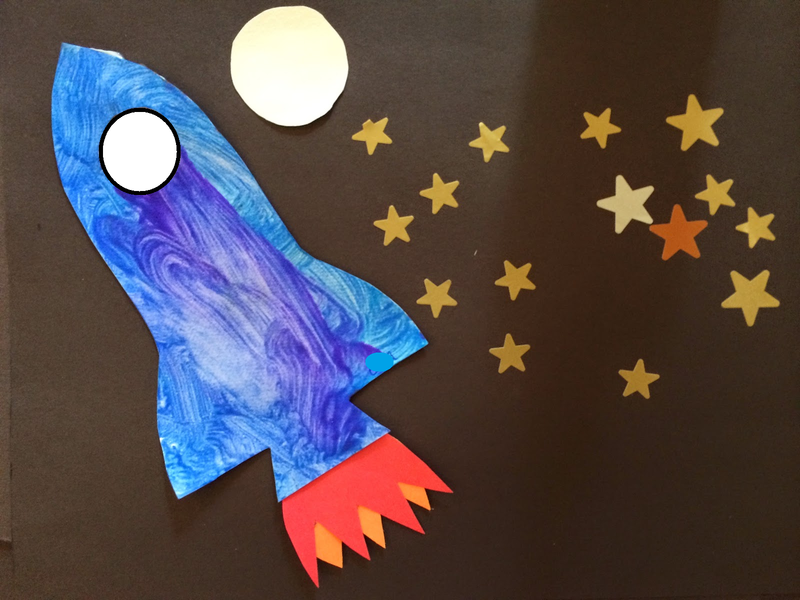 There's actually a picture of each kiddo in the window of their rocket, and I'm going to laminate them to make them look a little more finished. 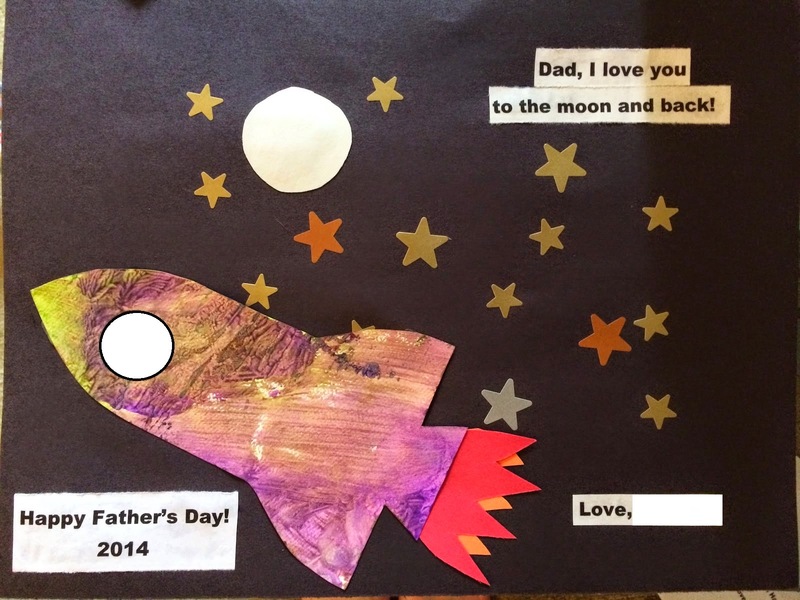 I think it beats most of the Father's Day crafts I found online - who wants a painted paper tie cutout? I'm starting to get organized for my trip, things like setting up boarding for Buddy and planning where I'm going to park my car by the airport. I had a moment of anxiety about getting things ready the other day, and the only solution is to make some lists and start checking things off. At least then I feel like I'm making progress. Outside of work, I have been living in this dress. It's ridiculously comfortable, and cooler than my usual jeans. It has to be both of those things for me to wear a dress. I very, very rarely wear them. 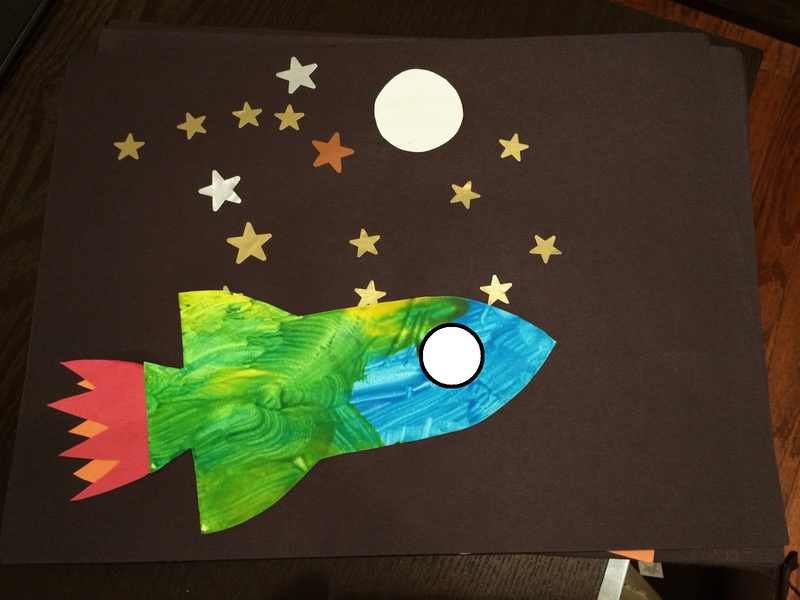 I took the night off from running, partially to give myself another day to rest, and partially because I was playing with glue and rockets. Buddy watches very closely when you put food in his bowl. And this is how Buddy waits to eat. He will sit this way until you tell him, "Ok."
And then he goes to town, and occasionally forgets to chew his food. Do you have pets? Do you feed them at certain times or just keep the bowl filled? Buddy would eat himself sick if we kept his bowl filled. I don't think he would ever stop eating until all the food was gone! He gets fed once in the morning and once at night.